T•A•P is a revolutionary, loose fill cellulose insulation for new and existing homes and buildings. It is truly a “green” product that contains 87% recycled paper. T•A•P is treated with Boric acid, producing a fire-retardant, thermally superior insulation with permanent pest control properties. T•A•P is blown in using a special machine, filling in energy-wasting nooks and crannies left open by traditional rolled insulation. 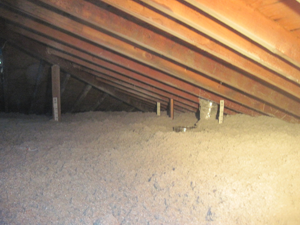 T•A•P can be used to “cap” over existing insulation in an attic, or on its own. As pests crawl through the insulation, they ingest the Boric acid, and well, let’s just say they won’t be bugging you anymore. T•A•P helps keep comfortable air in the living area of your home, reducing the energy required to heat and cool your home, reducing your heating and cooling bills. In New Jersey there may be some incentives and loans, please click here to find out more at the Database of State Incentives for Renewables & Efficiency. What are the benefits of T•A•P? T•A•P Insulation can be blown-in on top of existing insulation or added to empty cavities to significantly improve your home's R value. When T•A•P is added to existing insulation or installed on your own, it helps keep comfortable air in the living area of your home, reducing the energy required to heat or cool your home. Typical energy savings will range from 20% to 38%. T•A•P responsibly eliminates many common pests such as cockroaches, beetles, termites, crickets, ants, sow bugs, book lice, centipedes, millipedes and earwigs that enjoy taking residence in your attic insulation. 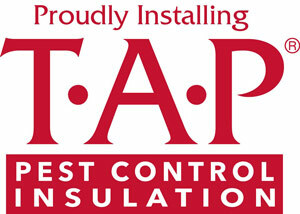 There are many benefits to T•A•P insulation, including energy savings, pest control, and noise reduction. 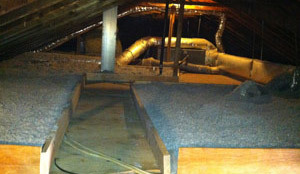 Cowleys Pest Services is your local pest control insulation expert! T•A•P helps create a peaceful environment by reducing unwelcome noise from the outside. T•A•P has earned the ENERGY STAR from the EPA and is an ENERGY STAR qualified product. It reduces your impact on the environment while reducing your monthly energy bills. Looking for more information on TAP Insulation? Still in search of further education about our pest control insulation services? Read more about it in our TAP Insulation Technical Paper! 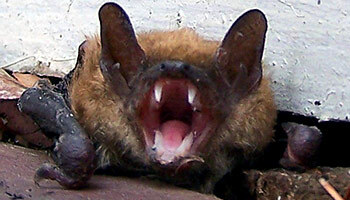 WE CAN HELP WITH NUISANCE WILDLIFE PROBLEMS. 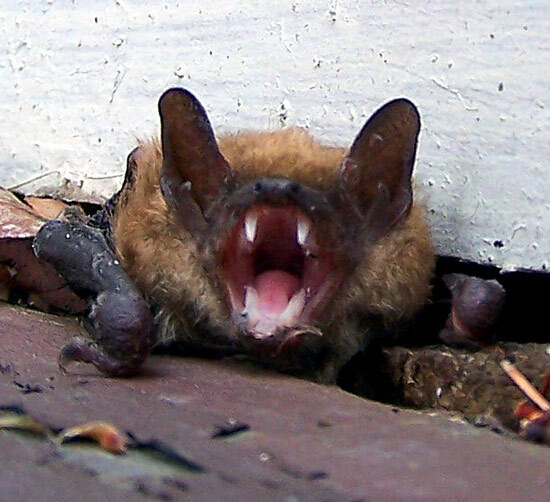 If you have had animals in your attic, you could be harboring a significant health hazard from urine, droppings, saliva, bat guano or nesting material. 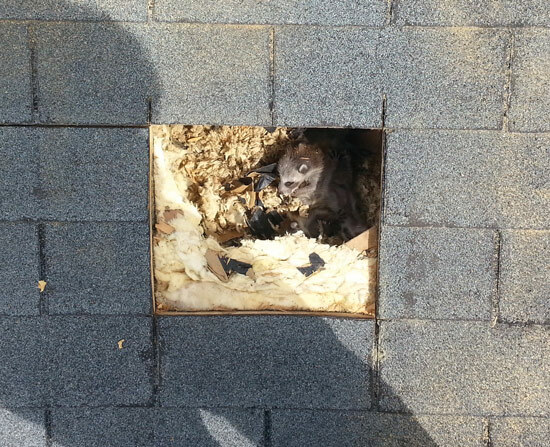 We are a full-service nuisance wildlife control company and can remove your contaminated attic insulation, disinfect, repair access holes and install a fresh, clean blanket of TAP. There are many types of pests that will take advantage of openings in your home's envelope to gain entry and set up shop. Nesting pests will contaminate existing insulation, reducing effectiveness and exposing you and your family to potential health problems. I already have insulation in my attic, why would I need T•A•P? T•A•P is easily added to an existing layer, and can be blown-in quickly and effectively, offering you superior pest control and lowering your energy costs! It’s likely that you’re the current insulation in your attic does not have pest control properties, so adding T•A•P would be greatly beneficial. 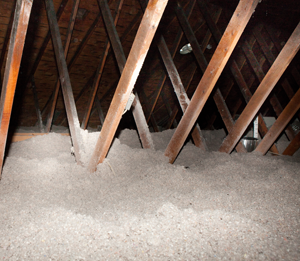 Additionally, a fairly significant amount of insulation (R-49) in residential attics is highly recommended by the Department of Energy. Most building codes and specs have lesser requirements, which means that many homes do not have enough insulation. It has been estimated that 65% of homes in the U.S. are under-insulated, and most homes over 10 years old have about 1/3 of the recommended amount of insulation. Can any contractor install T•A•P? Absolutely not. T•A•P can only be installed by licensed pest management professionals. If you are told that an alternative product can affect insects, ask to see the EPA label! 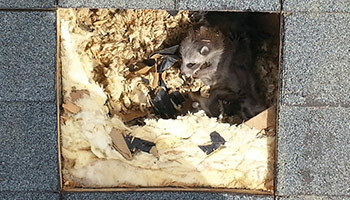 TAP® PEST CONTROL INSULATION is not flammable, combustible or explosive. In a live fire comparison of fiberglass and fire retardant treated cellulose, proving the structure insulated with cellulose insulation proved 57% more fire resistant than the structure insulated with fiberglass. Is cellulose insulation a fire hazard? Unfortunately, competitors often perpetuate this myth but it’s not true. Most houses are cellulose (made from wood and forest products). T•A•P contains a fire-retardant that actually makes homes safer in case of fire. Ordinary fiberglass insulation can melt, creating a chimney-like effect in a wall. T•A•P, with its fire-retardant characteristics, will not hold a flame and forms a “charred” surface barrier that limits the spread of fire. How does Boric acid kill pests? Boric acid attaches to the bodies of the pests as they crawl through or nest in the insulation. Since these pests are “self-grooming” insects, they ingest the boric acid when they groom themselves. As the pests cannot excrete the boric acid, it accumulates in the gut, eventually proving lethal due to dehydration, malnutrition, or both. 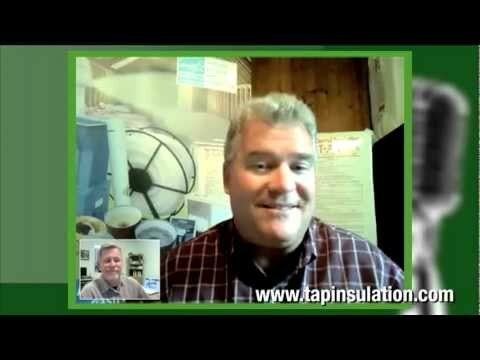 Do I need to take my existing insulation out before installing T•A•P? There's no need to worry about an extensive insulation removal process, as T•A•P can easily supplement existing insulation. It’s great to know that T•A•P can be installed right on top of existing insulation. 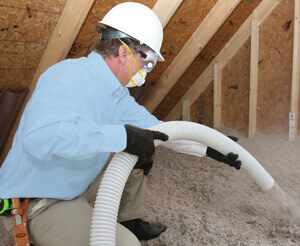 Typically, if your existing insulation is soiled or damaged by pests, we would remove your existing insulation. Boric acid, the active ingredient in T•A•P, is found in common household products such as saline eyewash solution, detergents and the food we eat. Although deadly to many insects, T•A•P is acceptable for use around pets and people. 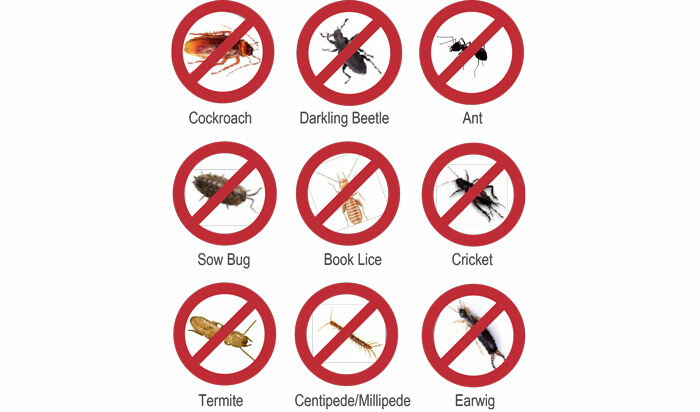 TAP effectively kills all of the insects shown below, protecting your home!